I’m a digital product designer managing psychological warfare with oneself and aspiring to a better way of living through health and wellness. I'm an independent user experience design consultant contracting in London working with companies of all shapes and sizes. Large businesses included in the FTSE 100 through to smaller agiler tech-focused startups. Contracting has provided a wealth of experience across a number of different sectors; media & entertainment, telecommunications, leisure & hotels, health & fitness, marketing, finance, and education. I’m incredibly grateful to be part of such an exciting, ever-changing and developing technological space which is currently taking place globally. The opportunities contracting provides is always exciting and is constantly equipping me with insights into different business models, structures and internal approaches to product development. Each new role brings the challenge of learning quickly and understanding the unique challenges each business faces and the exciting opportunities to see how best to assist business owners with improving their digital products from their unique user bases. What do I love about being a product designer? 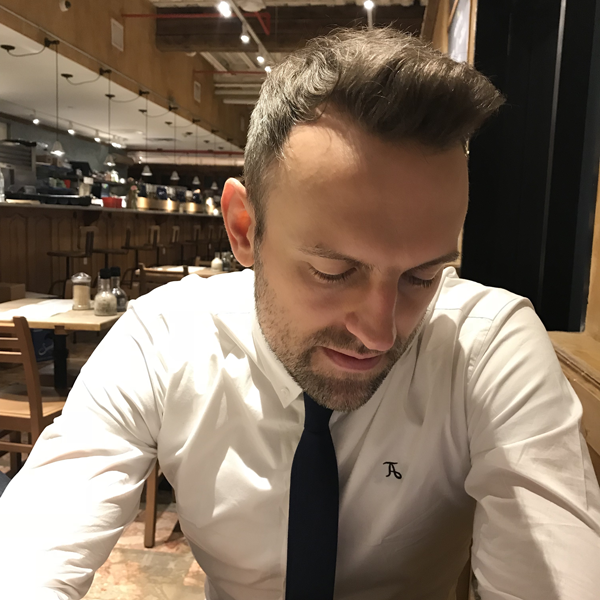 I’m constantly meeting different people from all walks of life, from the people I’m working within day to day in the product teams and businesses I’m invited in to help, to the individuals I’m running usability testing sessions with. This role has provided the opportunity to run user research sessions on both sides of the Atlantic, providing an exciting perspective on varying different products and their unique user groups. I genuinely thrive on the challenge of learning different digital products fast and strategically working with businesses to understand how to empower them to better serve their customers. This obviously comes from everywhere, but when it comes down to the industry you can’t help be drawn back time and again to silicon valley, it’s where the biggest and best tech companies sit, it’s where it all began after all and it continues to innovate and fortunately for me, it’s a sector of industry that is always sharing its progress, learnings, developments and internal business insights with strategy, product development, data analysis, A/B testing, design process, usability, development methodologies etc. There’s one thing that continues to rise above and beyond everything else and from experience I’m fairly happy and very fortunate that I’m able to maintain it as a priority, although I guess it remains that way because I have learned just how important it truly is. And it's something which I have no doubt will continue to be a lifelong journey for me, one of discovery, learning and continued experimenting... with anything and everything that could have a positive impact on my personal wellbeing, health, and wellness. I truly believe that the future of healthcare is one where we all take a little bit more responsibility for our own health. It’s truly hard work, a tough challenge to encourage those that haven’t experienced the benefit, but…. just like user experience design, its one which I believe is 100% worth the effort and will constantly provide a return on its investment by rewarding you for your efforts. Over the last 14 years I've moved from the world of creative advertising & marketing through to user experience consultancy & digital product design. Over that time I've been fortunate enough to work across many different sectors, covering a huge range of different organisations, which has provided opportunities to collaborate with some of the worlds finest brands. I hate to name drop, but some people like that kinda thing... so here's just a couple: Rolls-Royce, Barclays, Bloomberg, Investec, The App Business, OgvilyOne Worldwide, The Engine Group, Partners Andrews Aldridge, Dare, BBH & ThreeUK. Are you looking to improve your business's digital offerings?